The CDM (Construction (Design & Management) Regulations 2015) regulations are concerned with occupational health, safety and welfare issues in construction. These regulations place legal duties in relation to management, arrangements and practical measures on a range of construction project participants including clients, designers and contractors. The regulations replace and modify the existing regulations that came into being in 1994 with the aim of simplifying and clarifying the delivery of improved standards of health, safety and welfare and related business benefits. For notifiable projects the client is required to appoint a competent, adequately resourced CDM coordinator (CDMc) as a key project advisor in respect of construction, health and safety and risk management matters. The CDMc will advise and assist clients to carry out their duties to coordinate health and safety aspects of the design work and to prepare the health and safety file. Until such time as a CDMc is appointed, the client is deemed to be undertaking that role. We have close links with a number of CDMc’s with whom we have worked for a number of years and we have a clear structure and process for appointment in respect of both notifiable and non-notifiable projects, ensuring full compliance with legal duties set out in the regulations. 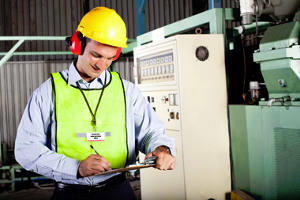 The CDMc suppliers we use are registered as competent by the Association of Project Safety. We recommend involvement of the CDMc at the earliest opportunity in construction projects to provide significant contribution in reducing risk during construction and post completion in relation to future maintenance and alterations.